Idea: Table View - Hide all empty fields option? I have a data file which generates six different data sources from database, and each data source is populated in an individual tab. 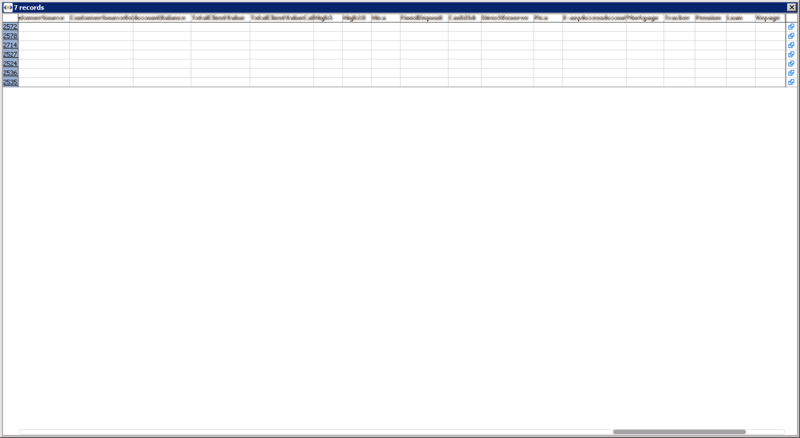 Because there is few overlapping column names, it ends out about 150 fields in total. So, the problem now is that when user clicks any parts of the data in any tab and view the details, it shows all the fields including 100 or more empty and unrelated columns (as shown in the attachment) although the unrelated data sources are filtered out by Source filter. I am wondering if there is a easy and centralized way to manage the fields shown in Details view on each tab. Or, do I have to manually hide all the unrelated columns in each graph and do the same for the other tabs which might a huge amount of zombie work. I don't want to delete the fields from the Field Organiser, I want to hide the empty fields unrelated to the current tab but related to the other tabs. 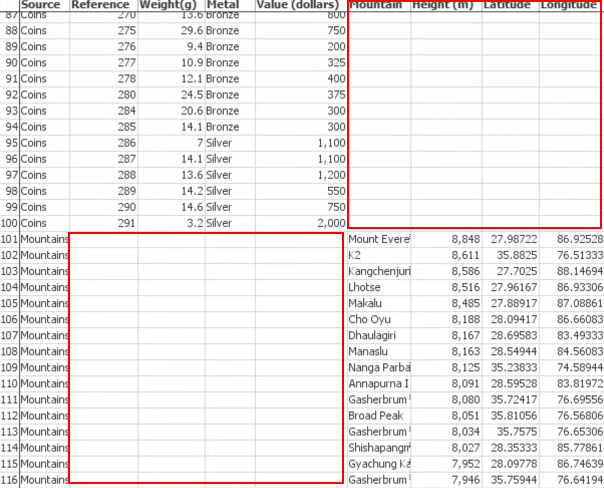 For example, as show in the attachment, there are two different data sources used on two different tabs. On Coins tab, I want to hide the fields in the right red box in Details view which are unrelated to the current tab . Zhou - Double click on any row header to bring up the Record Details pop-up window. Make sure the option Configure > 'Hide blank values' is ticked? Tjbate-Thanks! It is ticked and works as expected. But I only found the tool bar in Record Details pop-up window for single record. Is it any similar function in the Right Click - Show Details view where data is listed in a table when the number of records are over one. There is not currently a Table View option to simply hide all empty fields/columns from the view, which would be inherited by the multi-record details view and could be copied across all tabs. I have re-classified this as an Idea. Tjbate-Thanks for the suggestion! I think the alternative method I will go for is to hide the fields unrelated to the tab in Data - Manage Fields. It works fine; just too many empty fields need to be hidden which is not a small amount of effort for a large scale of data. Zhou - Be careful because the global hide field option in Manage Fields will hide the field/column globally, i.e. from all subsets/sources. If you have created the file by appending many different unrelated sources with few shared columns, then you do not have columns/fields which are really globally empty...they are only empty for defined subsets, those that relate to other sources. What is needed for this case is a subset (not global) option to hide empty fields. Tjbate - Thanks for the reminder! You are absolutely right! In the Manage Fields option, it allows you to hide the fields just on current tab or cross all tabs. So, I have to hide the unrelated fields just on the current tab and configure the other tabs in the same fashion.